This somewhat unprepossessing structure is the only active light actually located on Spurn Point today. Information on it was a little hard to come by and it has proven impossible identify on Google Earth or on Google Maps. My attempts to locate it were hampered by the fact that my only visit to Spurn was made in 2003 and my seriously flawed memory is a little hazy about the exact location from which the photograph was taken. 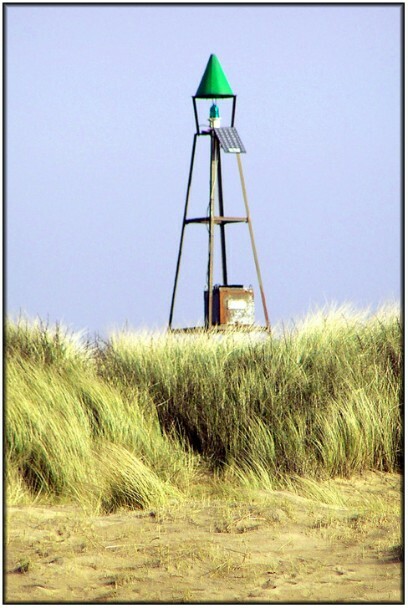 Well, I did say that the beacon was the only active light actually on Spurn Point and, as far as I know, that is true. 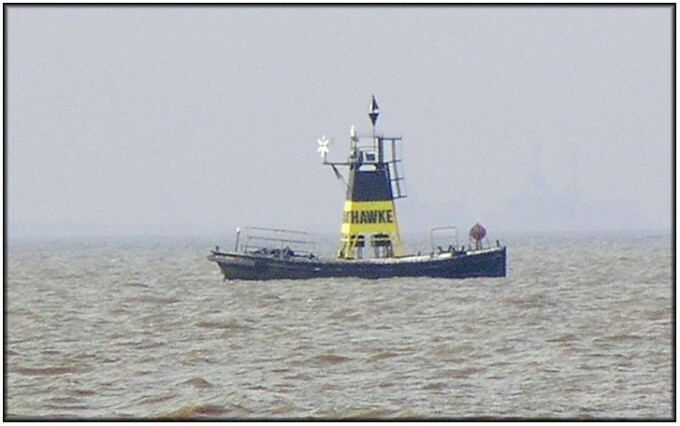 However, the Humber has quite a few of these rather elaboarate lightfloats that resemble mini lightships. This is the Hawke Lighfloat that lies just off the point in position 53° 34.5´N : 0° 05.6´E, and is almost in range of a longish telephoto. The light displayed is classed as a "very quick flashing" beacon giving 3 rapid flashes every 5 seconds.